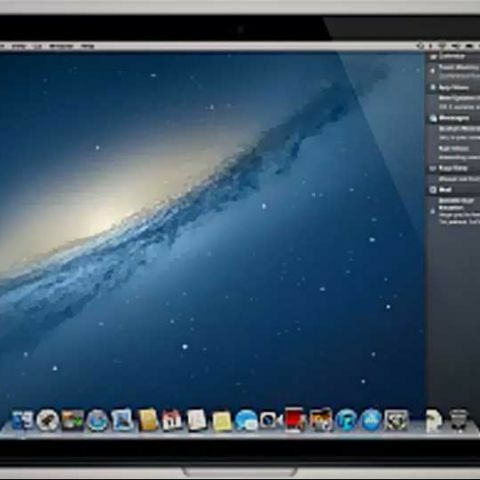 Apple’s latest desktop operating system, OSX 10.8 Mountain Lion will launch in the U.S. on the 25th of July. It’s already the 25th of July in India and if you log on to the Mac App store to download it, it won't be visible to you. You can check the App Store once the clock hits 25th July in the U.S. The OS will cost customers $19.99 (Rs. 1,125 approx.). If you have purchased your Mac in the past few weeks, then the OS update will be free for you. The new OS boasts of a number of new features that will help integrate the desktop OS and Apple's mobile OS, iOS in a more seamless manner. Some features of iOS that will make an appearance on Mountain Lion are notifications, iCloud integration and reminders to name a few. Some other noteworthy features of the new OS are, PowerNap, Dictation and Game Center. If you are interested in taking a closer look at the features of Apple’s new desktop OS, you can check them out here. Windows 8 vs. Mountain Lion: Does Microsoft stand a chance? Apple is not the only company unleashing a new OS on consumers. Microsoft is scheduled to launch Windows 8 in October this year. If you are one who is torn between Windows 8 and Mountain Lion, you can take a look at the comparison between the two OSes here. The biggest difference between the two giants is that Windows 8 is a desktop OS that works well with a touchscreen as well as a keyboard and mouse, whereas though Apple has spurned touchscreens on its laptops, its fantastic multi-touch trackpad can use gesture for a variety of functions.